Despite the safety and security risks involved, nuclear energy just might be the way to combat climate change, according to the International Energy Agency (IEA) and OECD Nuclear Energy Agency (NEA). The two agencies unveiled a nuclear roadmap on Wednesday, declaring that nuclear energy has the potential to make a major contribution to reducing greenhouse gas emissions. ``Nuclear energy is one of the key low-carbon energy technologies that can contribute, alongside energy efficiency, renewable energies and carbon capture and storage, to the decarbonization of electricity supply by 2050,'' said Nobuo Tanaka, IEA executive director, during the East Asia Climate Forum, at the Shilla Hotel, Wednesday. The use of nuclear energy to generate electricity started in the 1960s and grew rapidly in the 1970s and 1980s. But nuclear capacity stagnated (except for Japan and Korea), after high-profile accidents in Chernobyl and Three Mile Island exacerbated concerns about its safety and the high cost of building nuclear power plants. The new nuclear roadmap noted that current nuclear energy technology has incorporated lessons from past experiences, plus advanced technology that enhances safety and performance. Nuclear power is seen as a mature low-carbon technology that is ready for wider deployment around the world. In line with the IEA scenario for a 50 percent cut in energy-related CO2 emissions by 2050, the roadmap sees nuclear capacity growing to 1,200 gigawatts electrical (GWe), providing nearly 24 percent of the world's electricity. At present, nuclear generating capacity is 370 GWe, representing 14 percent of global electricity. This ``nuclear renaissance,'' Tanaka admitted, would have to overcome numerous policy, industrial, financial and public acceptance obstacles. First of all, political support and public acceptance are keys to a successful nuclear energy policy. Stable government policies should be established, as well as legal and regulatory frameworks. ``The government can help reduce the risk of nuclear power by providing discounts. Then it can become more competitive. If possible, it can place higher carbon prices on gas, so the prices of wind and nuclear energy would be more competitive. The government can change the competitiveness of different electricity sources by changing the carbon prices,'' Tanaka said. One of the biggest challenges is financing. Large initial investments are needed to build nuclear power plants, which would require international collaboration. The IEA estimates a total investment of $4 trillion is necessary from 2010 to 2050 worldwide, including $893 billion in China and $883 billion in the U.S. and Canada. Safety is also a big concern, which is why it is important to make progress in implementing plans for permanent disposal of radioactive waste. ``We need to have tight conditions on disposal of high-level wastes, non-proliferation and safety, in order to push for nuclear energy in the future,'' he said. If more countries start using nuclear energy, there are worries that the technology and materials will be used for non-peaceful purposes. To address these concerns, the roadmap suggests more appropriate non-proliferation controls and stronger international cooperation in non-proliferation, nuclear law and physical protection of nuclear facilities and materials. Despite these challenges, Tanaka believes the benefits of nuclear energy far outweigh the risks. 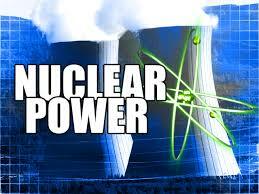 ``The benefits of nuclear power are obvious _ it is very cheap and low-carbon. To achieve a low-carbon society, nuclear energy is a very important part of the solution,'' he said. Korea has developed a strong nuclear industry, with nuclear energy accounting for about 35 percent of its total electricity as of 2009. Among OECD countries, Korea has the largest nuclear expansion underway with six units under construction as of the end of 2009.